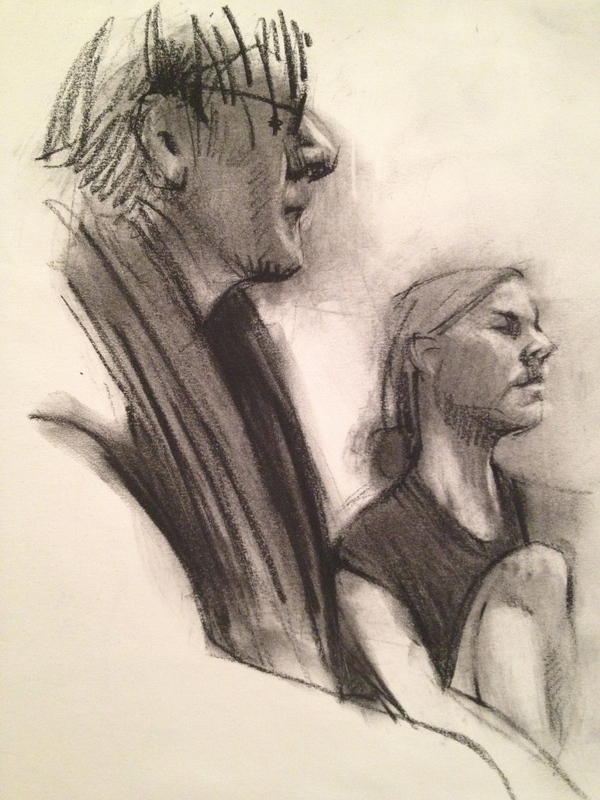 I've been going to sketch nights at the Society of Illustrators. They have a bar with a big Norman Rockwell illustration above it. Drinking and drawing. You have to love that. Here are some of the sketches. I think that whatever style an artist works in its important to always sketch and work on the basics. It's like weight lifting for a football player - it's not the game of football but its necessary to playing well. I've always faced harsh criticism for drawing in this style but to me its just the practice for bigger and very different styles. I've heard the criticism loud and clear and even agree with a lot of it. The world doesn't really need more well drawn pictures of flowers or reclining figures, but an artist can learn a lot by looking at something, ignoring what you know about it and just drawing the lights and darks (or whatever catches your eye and somehow comes out representing the model). In the end it's not that you want the sketch for anything, you just need to go through the process to build that brain muscle.